The Firm | The Estate, Trust & Elder Law Firm P.L. With a deep commitment to serving seniors and their families, attorney Michael D. Fowler, J.D., LL.M has practiced law on the Treasure Coast since 1980. Michael’s commitment is demonstrated in the recognition he has received from his peers for professional excellence as well as his active involvement in both the legal community and the Treasure Coast community as a whole. Michael is Florida Bar Board Certified in both Elder Law and Wills, Trusts and Estates, a distinction held by few attorneys in the state. He has also earned the AV Preeminent® rating from Martindale-Hubbell®, the highest possible rating for both ethical standards and legal ability. Michael is an active member of the St. Lucie County Bar Association and the Port St. Lucie Bar Association, having served in various capacities over the years and receiving multiple Pro Bono Service Awards. A member of the National Academy of Elder Law Attorneys and the Academy of Florida Elder Law Attorneys, Michael is also a charter member of ElderCounsel, an organization of attorneys focused on innovative and forward-thinking advocacy for seniors. Dedicated to giving back to the Treasure Coast community he loves, Michael frequently speaks at local forums to educate the public about important estate planning and long-term care planning issues. He served as chair of the fund-raising committee for the construction of the St. Lucie County Hospice House on Midway Road, and also served for many years as a member of the Board of Directors and the Foundation Board for Hospice of the Treasure Coast. He is a member of the St. Lucie County Advisory Board for Alzheimer’s Community Care, prior member of the Royal Palm Society Board for Heathcote Botanical Gardens and is a member of the St. Lucie Chamber of Commerce. The firm is a benefactor of Treasure Coast Advocates for Seniors, for which Michael has served on the board. 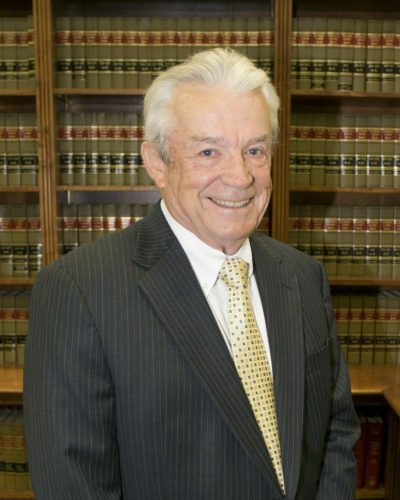 A Navy veteran who spent six years flying single-seat jets as a naval aviator, Michael graduated from Tulane University in 1968 and earned his Juris Doctorate degree, with honors, as well as a Masters of Law in Taxation from the University of Florida College of Law. Michael and his spouse, Virginia, reside in St. Lucie County, having raised their five children here on the Treasure Coast. He enjoys bicycling, motorcycling, golf and other outdoor and fitness activities. Joannie graduated in 2010 from Adelphi University, Garden City, Long Island with a degree in Political Science. 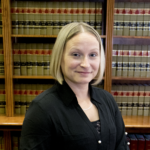 Joannie earned her Juris Doctorate in 2013 from Touro College – Jacob D. Fuchsberg Law Center also on Long Island. 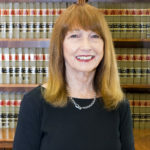 Joannie is a member of the National Academy of Elder Law Attorneys and the Academy of Florida Elder Law Attorneys. Joannie’s legal career is in its fourth year with a heavy concentration in Elder Law as well as Wills, Trust & Estates. It was joining the ETELF family that relocated her to the Treasure Coast, but her compassion and commitment to our seniors and those love them are what keep Joannie deeply rooted in this community. Joannie and her husband, Michael, live in Palm City, FL. She enjoys Florida living because it has brought her closer to family and her favorite pastime; believe it or not, annual season passes to Disney World. Joannie invites you to join her for a free Seminar to learn crucial information about how Elder Law as well as Wills, Trusts and Estates may impact you and your families. Ally is the youngest child of Michael and Virginia Fowler and began her career with ETELF in August 2008. She obtained her Associate of Arts Degree from Indian River State College in May of 2011. Ally serves on the Advisory Board for Alzheimer’s Community Care. 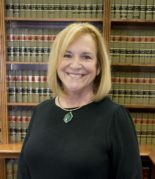 She is an advocate for raising awareness in the community on latest developments in estate and long-term care planning and welcomes the opportunity for scheduling speaking opportunities on behalf of the attorneys. Ally married her high school sweetheart, Josh, in March 2013. She enjoys boating, her furry child, Bella, and being a mommy to her human kids, Daisy and Beau. 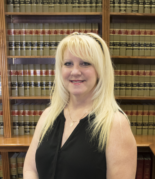 Jo has a thorough knowledge of estate, guardianship, trust administration and estate taxes by virtue of over 30 years of experience working with probate attorneys from Boca Raton to West Palm Beach and now on the Treasure Coast. 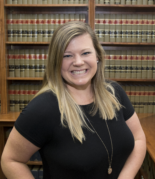 After graduation from Longview Community College in Kansas City, MO, Jo worked primarily in criminal, civil and corporate law with Missouri’s top ranked criminal defense law firm in Columbia, MO before moving to FL. While she maintains her deep passion for Mizzou Football and Basketball, she is a proud member of the Gator Nation. Jo and her husband, Chip, reside in St. Lucie County and enjoy spending family time with their two sons and 6 grandchildren. Jo also enjoys sewing which includes custom made Halloween costumes for her family, cooking and baking special themed birthday cakes. 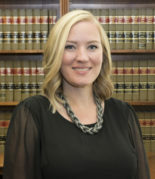 Darrah is a Florida Registered Paralegal with the Florida Bar Association. She graduated with Honors from Indian River State College with her Associates Degree in Paralegal Studies in May of 2013. She began her career with the firm in April of 2014 and has thoroughly enjoyed her role as the firm’s estate planning paralegal. She is married to her husband, Clay, and they have two children; TJ and Paytyn. When she is not driving her children to and from practices and games, she enjoys reading, football, and soaking in the Florida sun at the beach. 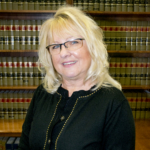 Doreen obtained her paralegal degree in 2011 from Penn Foster Career School located in Scranton, Pennsylvania. Originally from West Milford, New Jersey, her family moved to Jensen Beach in 2012. Doreen has been doing estate planning and Medicaid for more than 16 years. Married to her husband Chris for 17 years they have 2 lovely children, Jesse and Nicole. Doreen loves the outdoors, bike riding, swimming, and fishing with her family. Renee joined the ETELF family in July 2016 as the client intake specialist. She moved to Florida from Michigan in 2014 and resides in Martin County. Renee has extensive customer service experience and thrives on putting our clients and their families at ease during difficult times. Renee received her Medical Assistant certificate from Carnegie Institute in Troy, Michigan. Renee has three children and is married to Forest. Her and her husband are enjoying the Florida lifestyle and have become avid boaters. Brenda graduated from Indian River State College with an A.S. in Real Estate and a Certificate in Legal Technology. She is a Florida Pioneer Descendant, a member of the Daughters of the American Revolution and the St. Lucie Historical Society. Brenda enjoys photography, spending much of her time In St. Lucie County’s natural areas and preserves. She also enjoys spending time with her daughter and grandchildren. Originally born in Ohio, Amber has been a resident of Saint Lucie County for 32 years. 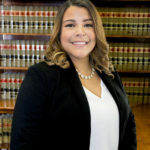 She graduated with her A.S. in Paralegal Studies from Indian River State College in December of 2018 and has joined the ETELF team after completing a semester long internship. She is currently working on her B.A in Public Administration. Amber’s passion is helping others. She spends a great deal of her time volunteering by mentoring young women and guiding them into successful roles in their communities. She is looking forward to being of service to the elderly community. Amber enjoys spending time with her two beautiful daughters Dejha & Autumn, and her fiancé David. Amber and her family are Disney World fanatics! In her spare time Amber enjoys weightlifting, running, painting and is an avid reader.